This entry was posted on Sunday, July 10th, 2011 at 10:40 am	and is filed under Gluten-Free Recipes, Miscellaneous. You can follow any responses to this entry through the RSS 2.0 feed. You can leave a response, or trackback from your own site. Alright, Melissa. We love our greens, but you may have stumped me here. They look an awful lot like watercress, which we can get from a local hydroponic grower… I’m going to keep on this, though, and will come back if I have an answer. As for lambs quarters, I believe there isn’t a solid story about where the name comes from, though many believe it might be related to the fact that the shape of the leaves resembles the cut of lamb called the “quarter”… since some people call the green “mutton tops,” that seems to be a reasonable theory. Lo, It’s not watercress, but this has motivated me to get my greens straight as far as what the leaves look like. I had not heard of “lamb’s quarters” or “mutton tops” for that matter. Thanks for the info. I’ll keep you posted! Alright. I’m throwing this out there. Chinese spinach? Not Chinese spinach, but I’m off to check that one out. Thanks! 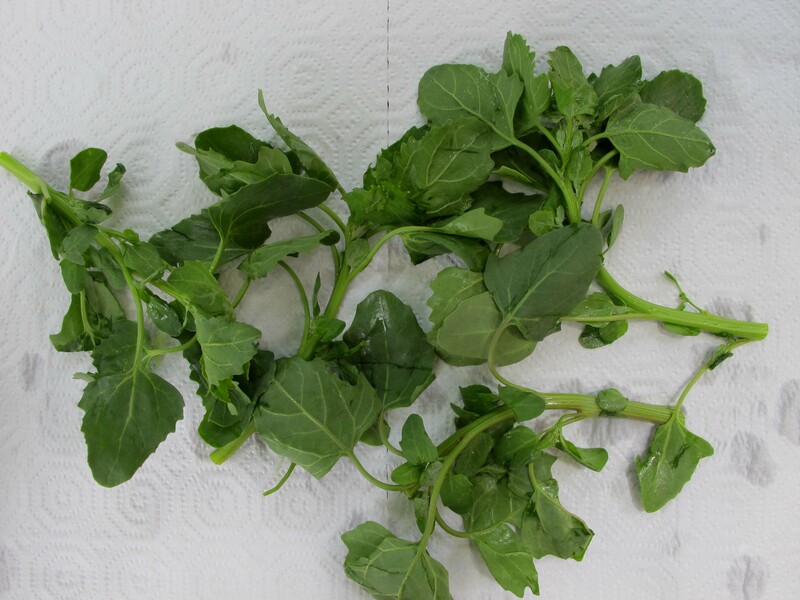 This is brocolli rabe…otherwise known as rappini, isn’t it? Not broccoli rabe (rappini), but I’m learning so much! Thanks, ladies. This is awesome. Looks like Tatsoi to me. It’s not tatsoi, although I’ve become a big fan of the stuff. There are so many wonderful greens out there. I did a recent blog post on the variety, but am learning so much from doing this impromptu post! Thanks for your input. It’s not Chinese broccoli, but does look like it! Thanks for weighing in. I do appreciate it! I’m thinking rappini as well. How was the pizza? The pizza was awesome, thanks for asking. I’ll fill you in on that, complete with a recipe soon! No, it’s not arugula, but it looks similar. My first impression was watercress…if those leaves are pretty small. Now I’m really curious to know if that’s right! It’s not watercress and yes, the leaves are fairly small. Had I known I was going to do this post, I would have included more photos. But as I said, this was a last minute idea. I’m having fun hearing all the responses! I’m not familiar with sorrel, but have been researching each new green. It’s been fun! Sorrel is an interesting one. Thanks! They look a lot like snow pea greens to me. Oooh, good guess, and different, but they’re not snow pea greens. Now you’ve got me curious. I’d love to see (and try) some! Thanks! I guessed arugula on your facebook page earlier. Looking forward to hearing the answer! They look like jewel weed to me, but not sure that you would have those in CO or would cook with them. We have plenty on our mountain property. I was going to guess lamb’s quarters too at first. Perhaps rapini? And despite having a wildflower folklore book, I can’t figure out where the name Lamb’s Quarters comes from…hmmm. I hope you’re going to tell us! No, not arugula, but I’ll keep you posted. That seems to be the most common answer. my guess was arugula too. maybe wild arugula? No, it’s not arugula, wild or otherwise. But now I’m curious as to what the differences might be between the two (wild and not-wild). This post has really been fun. Thanks for commenting! I was thinking baby collards, but I don’t think collards grow like that. I’ve used baby chard, but not baby collards. Interesting! I imagine they might be a little less rubber glove like. Am I right? I’ll have to search those out. Collard greens are packed with good stuff. I’m going for Kohlrabi greens or perhaps radish greens? Laura here. My guess is . . . It looks a lot like that, tho’ its hard to tell with the specimen in the photo sort of twisted. I thought you might be interested in that plant vis the sitch in Germany. Oooh, very interesting guess. I’ve never seen fenugreek, other than in a spice jar. I’m not surprised that you would come up with something unique! That’s not it, but I’m off to do some research on fenugreek. I love the taste, but haven’t seen it in its full glory. I’m going to guess mizuna, because i just learned of it. but it doesn’t really look the same. I’m dying of curiosity now! Sorry, but it’s not mizuna. Although, I must say, I really like mizuna. Here’s a photo I took of some mizuna in my garden, plus a yummy salad recipe if you’re interested. I’m stumped! I think they look at lot like kohlrabi, and the leaves remind me more than a bit of catnip, but the stems look wrong. Oh, Cheryl – awesome and unique guess(es). Catnip? Wow, I don’t know what catnip looks like, but that’s a first in this growing list of guesses. It’s not catnip or kohlrabi, but I love it that you’re thinking outside the produce box! Thanks! I guessed lambs quarters on FB, of (more likely) young tops of their domestic relative AMARANTH or QUINOA? All are members of the beet or “goosefoot” family. YEAH Nadya! You win! These are QUINOA greens and they’re delightful! Good, good job. How did you know? I’ll email you and send you your winner’s prize. Hmmm? It will be kitchen oriented, I just don’t know what it will be yet. A cookbook? A kitchen utensil? Are you gluten-free? I’ll be in touch! Congratulations and way to go, Nadya!! Peace, love and you’re RIGHT! Yea!! & YES, I’m Gluten Free (2 years – woo hoo!) Our family did the DNA testing, & my daughter had 2 genes, so I went GF with their family – SO glad I did! A cookbook would be awesome, but I would love anything!! I also have amaranth & quinoa growing, but just seedlings – & it just looked like something in that family My middle granddaughter LOVES Lambs Quarters, we call them ‘Emily Greens’ & cook up a batch (or 3) like spinach. Thanks so much for all this information. Although I bought the greens from a market here in Colorado, I’m going to buy some seeds and do some of what you suggest here with quinoa, amaranth and lamb’s quarters. I sent you an email and need your address. Check your spam folder if you didn’t get it. 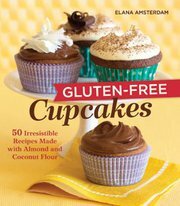 I want to send you a GF cookbook for you and your granddaughter! =) My next blog post will be about the greens and the cookbook. Coolio! I would have never guessed. I don’t see the resemblance to lambsquarters, at least not the kind we have here, aka wild spinach. Ours are paler, with a pointy leaf. So…now that we know what they are…How did they taste?! I just got seed for that lovely fuscia tipped version, & have ‘cherry vanilla’ quinoa growing in my garden. Melissa posted a lovely pizza topping recipe I tried last night – can I just say YUM? !